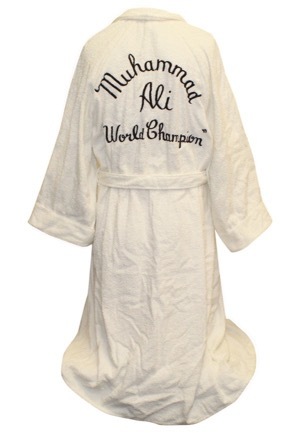 One of the transcendent athletes in sports history, Muhammad Ali broke down barriers both inside and outside of the boxing ring to secure his rich legacy. 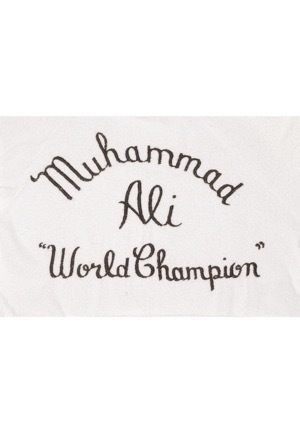 Ali’s charisma paired with elite talent and style made him into one of the defining sports figures of his era and beyond. 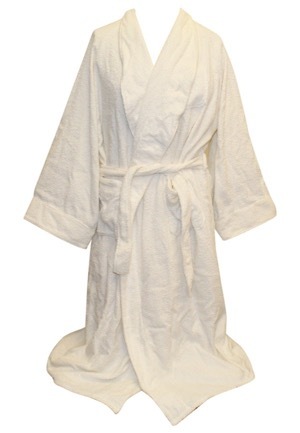 Offered is Muhammad Ali’s personally worn robe for training purposes. 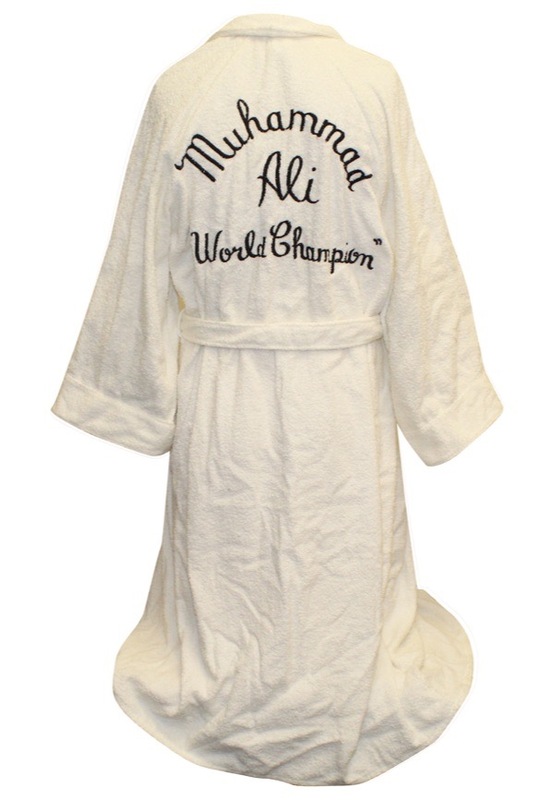 Across the back of the white robe reads “Muhammad Ali World Champion” in script style writing embroidered in black.